The best kept secret in the skin care industry! 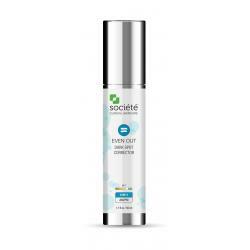 Societe Clinical Skin Care provides medical grade skin care products free from fillers, parabens, sodium laurel sulfate, artificial colors or fragrances. 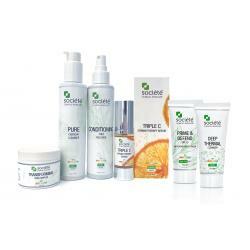 Every ingredient in these products serves to improve your skin's health and radiance. 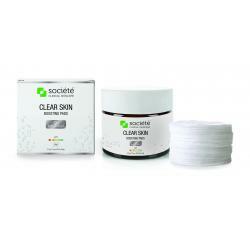 Societe Clinical Skin Care There are 37 products. 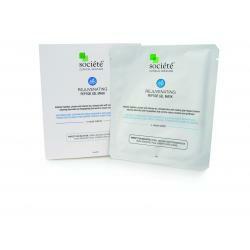 Societe Clinical Skin Care Kits provide complete solutions to a variety of common skin complaints/ conditions. 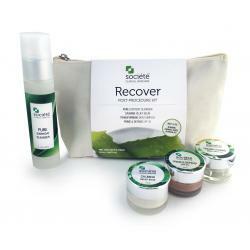 All kits contain FULL size products (except Recover Post Procedure and Hydrating Travel Kits). 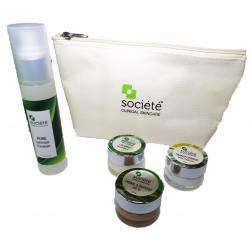 Each kit includes an exclusive complimentary Societe Travel Bag. This is a perfect travel kit for weekend getways to mini vacations. Same great products in travel friendly sizes. Winny says: "This kit contains mini versions of my favorite products for acne & contolling breakouts"
An anti-aging skin enhancer designed to target skin aging with retinol, tretinoin, peptides, and growth factores for a radiant glow. 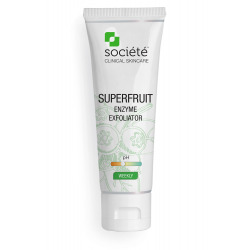 A exfoliating cleanser suitable for all skin types, helping the skin to look healthier, younger, smooth & firmer. 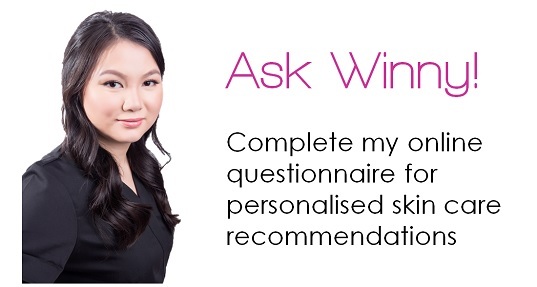 Winny says: "My favourite cleanser for clients with normal-oily skin. Works great for anti-aging with ingredients to help exfoliate and hydrate the skin at deeper level"
If you experience breakouts and want a clearer complexion this is a great starting kit for acne prone and problematic skin. 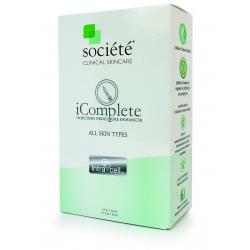 Winny says: "Societe's starting regimen for acne prone skin. Comes in exclusive gift/ travel bag!" 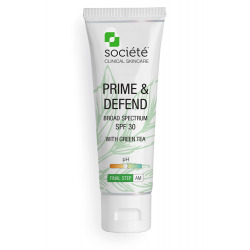 If aging skin is a concern for you, this is a great starting kit to prevent premature aging or a first step to help recapture your youth.Winny says: "Societe's recommended starting regimen for aging skin. Contact me for personal skin care regimen tailored to your skin"
If you are looking to turn back the clock, this is the kit for you! 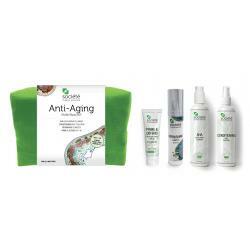 Recapture your youth with the Societe Anti Aging Kit. 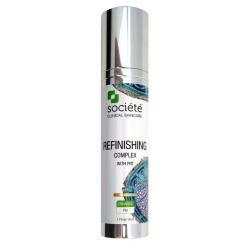 Winny says: "Societe Clinical Skin Care's best anti-aging proucts. Contact me for personal skin care regimen tailored to your skin"
A breakthrough serum that controls inflammation, perfect for aging or pigmented skin. Winny says: "Clients use this product to lighten pigmentation such as freckles and even out skin tone. 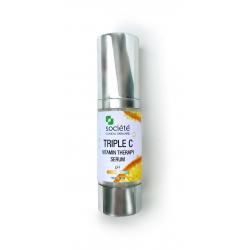 Contains 10% Vitamin C which helps to brighten the skin & protect against UV damage. 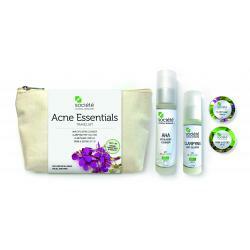 Rescue sensitized skin with the calming effects of natural plants, antioxidants and vitamins. Good for ALL skin types. Winny says: "Just the right amount of moisture for dry skin. Immediate relief from redness, irritation and inflammation"
A skin clarifying agent that reduces inflammation and clears impurities, preparing the skin for corrective agents. Winny says: "This product works great after cleansing and before the application of serums and moisturisers. It helps balance the pH of the skin and increase penetration of products applied after. This lightweight antibacterial cream promotes clear and healthy skin with anti acne peptides that reduce breakouts and inflammation. Winny says: "I recommend this for anyone who is suffering from mild to severe acne. This is formulated to combat rough, inflamed and bumpy skin while providing a clear protective barrier to seal in moisture." An anti-acne skin treatment designed to target acneic skin concerns and actively fight oil buildup and breakouts.Winny says: "These pads are a great addition to any anti-acne regimen." Containing 10 antioxidant (including resveratrol) to protect and brighten the skin. Winny says: "Use this after cleansing to balance the skin and maximize the penatration of serums and other corrective agents. This can also be used to misted over the face to set minerial make-up." 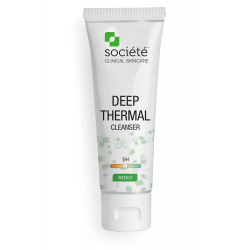 A self heating, clay based exfoliant that removes dead skin and minimise black heads. Warms as it works to open the pores, remove impurities and smooth the skin. Winny says: "Added exfoliation for your regimen that helps to polish and smooth the skin using natural seasalts. Use 2-3 times per week (depending on skin type) to achieve maximum results)"
Use this morning and night after cleansing, toning and serums but before moisturising to reduce the appearance of hyperpigmentation and improve skin toneWinny says: "With the newest technologically advanced formulation and top ingredients this is a result driven product to even out skin tone!!" This is a perfect travel kit for anyone that needs a little extra hydration or traveling from one extreme temperature to another.Winny says: "This travel bag contains travel size versions of my favorite products for hydrating & nourishing skin in dry climates!" 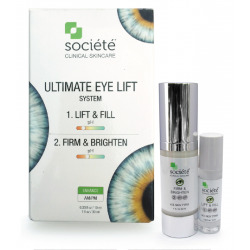 Societe's recommended two step regimen design for use following injections and other anti aging procedures to enhance and extend results.Winny says: "Great value with two of Societe's most popular and effective products. FULL SIZE Intense Firming Complex & Skin Hydrating Complex to combat aging and irritated skin"
Firms and rejevenates skin with a collagen boosting peptide. Provides immediate & long lasting firming & tightening effect Winny says: "Works like a topical "botox" for your face! Provides a megadose of peptides & antioxidants to reduce muscle contractions that contribute to fine lines & wrinkles"
If you want instant gratification and long-lasting results, this is the kit for you. If aging is a concern for you and you're looking for instant gratification and long-lasting results, this is the kit for you.Winny says: "Societe's most effective serums to combat the signs of aging. 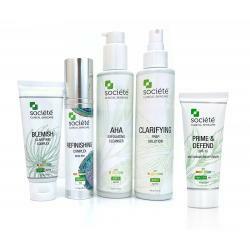 Contact me for personal skin care regimen tailored to your skin"
The Societe Acne Prone and Problematic Skin regimen. 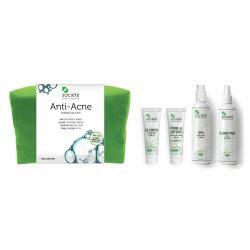 If you experience acne breakouts and want a clearer, more glowing complexion, this is the kit for you. 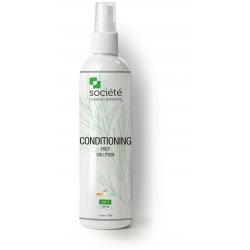 Winny says: "Societe's recommended products for acne prone or sun damaged skin. Contact me for personal skin care regimen tailored to your skin"
Gentle, antioxidant-rich cleanser suitable for even the most sensitive skin. With aloe as one of the top ingredients this helps to sooth and reduce any irritation or inflammation Winny says: "This is my cleanser of choice for people with dry and/or sensitive skin. Non-stripping and gentle yet still thoroughly cleanses and nourishes the skin"
If you don’t have these products already, this is a perfect kit containing the essentials for post-procedure. Great for using after laser, facial Surgery, facial modalities, dermal needling, and more.Winny says: "This kit contains mini versions of my favorite products for hydrating & nourishing delicate skin post procedure!" A stabilized retinol (vitimin A) with AHA and BHA acids that work by stimulating, correcting, and exfoliating all in one step. Winny says: "The new pigment regulating technology (PRT) regulates cells that can cause pigmentation, helps dark spots on the skin to fade and smooths out uneven skin tone." A breakthrough skin treatment formula with a patent pending delivery system designed to aid in skin retexturizing of higher percentages of Retinol and Alpha Hydroxy Acids. 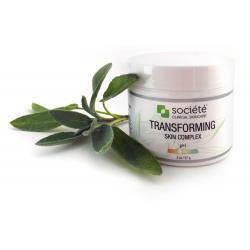 This mask calms, moisturises and rejuvenates the skin with a unique blend of peptides and plant based stem cells. Winny says: ""My clients love this mask in treatment and also to use at home to keep the skin radiant and hydrated in between visits!"" 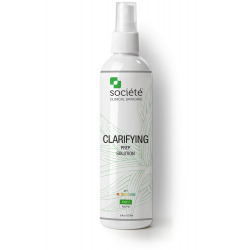 This kit is specifically designed to calm and soothe sensitive skin, reducing redness and giving it a more youthful glow Winny says: "Societe's recommended products for sensitive, easily irritated skin. Contact me for personal skin care regimen tailored to your skin"
A skin brightening enhancer designed to help reduce the appearance of rough, uneven skin tone and brighten skin discolorations for a more radiant & even skin tone.Winny says: "If pigmentation or uneven skin tone is a concern, these pads are a great addition to your current skin care regimen." This is a perfect travel kit for weekend getways to mini vacations. Same great products in travel friendly sizes. Winny says: "This kit contains mini versions of my favorite products for hydrating & balancing the skin"
The Societe Skin Hydrating Complex has strong antioxidant properties that help restore moisture and elastic in addition to providing an anti wrinkle effect using advanced peptide technology. 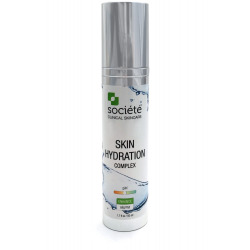 Winny says: "I love this product as its light formula hydrates your skin without feeling oily or greasy. It helps to soothes & calms the skin." This is a perfect travel kit for weekend getways to mini vacations. 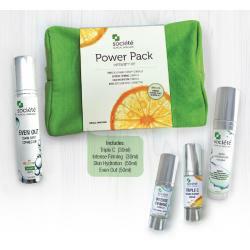 Same great products in travel friendly sizes. Winny says: "This kit contains mini versions of my favorite products for hydrating, refresh & balancing the skin"
If you spent years basking in the sun and are looking to reverse its effects, this is the kit for you. 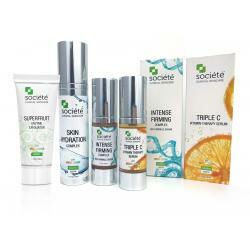 Winny says: "Societe's recommended products for sun damaged/ hyperpigmented skin. Contact me for personal skin care regimen tailored to your skin"
Reduces fine line and wrinkles with 14 powerful antioxidants & 16 different plant sources used to moisturize and firm. Winny says: "This product asks like a "transparent Band-aid" over the skin to keep moisture in and irritants and pollutants out. Works great as a night creme to seal in serum's vitamins and antioxidants for improved efficacy"